MogoBlog MogoLicious Tasty Tip of the Day: Spiked Apple Cider Floats: simple, crazy delicious, and the perfect drink to enjoy this autumn, in cocktail form! Combine the water, granulated sugar, ground cinnamon and cinnamon stick in a small saucepan. Place over medium-high heat, and allow to cook until the sugar is dissolved, stirring frequently. this should take about 2-3 minutes. As soon as the sugar is dissolved, turn off the heat and allow the syrup to cool to room temperature. When the simple syrup is cool, strain through a fine mesh sieve into a clean container, cover and store in the fridge until ready to use. Place two mugs in the freezer about an hour before you’d like to serve the floats. everyone loves a frosty mug! Place 2-3 scoops of vanilla ice cream in each mug, depending on how much ice cream you like. In a small pitcher or cocktail shaker, combine the apple cider, cinnamon simple syrup, applejack and bourbon. shake to combine. Pour the apple cider over top the ice cream in the mugs. Garnish with a cinnamon stick (totally optional! ), and serve with a straw and a spoon. enjoy! 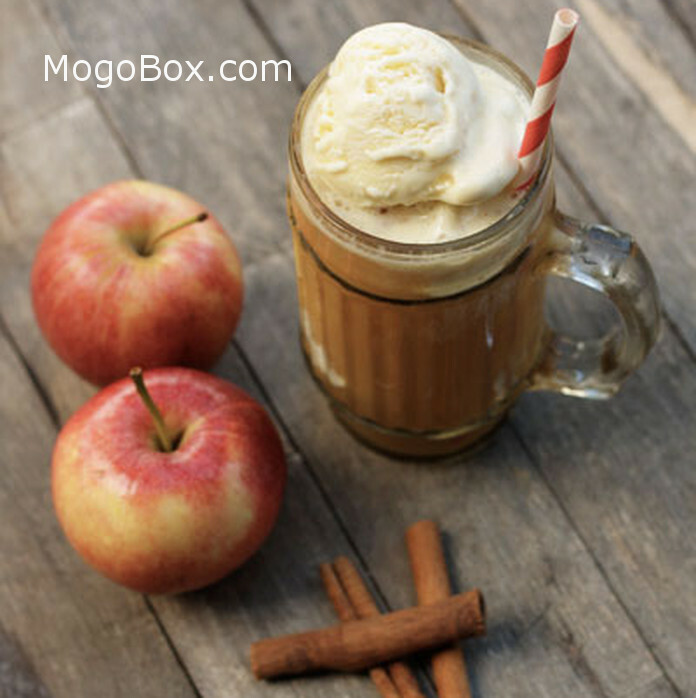 This entry was posted in MogoBlog, MogoLicious and tagged #MogoBlog, Apple Cider, Apple Schnapps, Bourbon, Cinnamon, Cinnamon Simple Syrup, Floats, MogoBox, MogoLicious, Vanilla Ice Cream.